In June of this year, The New York Times’s Book Review published an interview with Kareem Abdul-Jabbar: What are you reading now? What’s the last great book you read? What is your favorite book on sports? That sort of thing. Asked to name the best book he’d received as a gift, the retired athlete identified the subject of this month’s review, But Beautiful: A Book About Jazz. I’d read the book myself some years ago, liked it and now decided that readers of Seacoast Jazz Notes might also enjoy this fanciful book about a number of the musicians who shaped modern jazz. And fanciful it is—not by any means a true account of actual events in the lives of Duke Ellington, Charles Mingus, Chet Baker, Lester Young and the author’s other subjects, but rather a collection of eight imagined vignettes based on Mr. Dyer’s knowledge of the artists, their lives, their personalities, their music, and drawing on photographs and anecdotes. The author, Geoff Dyer, a Brit, is a self-described lover of jazz but, in fact, no expert in the genre. No matter: Analysis of the music is hardly his intent. 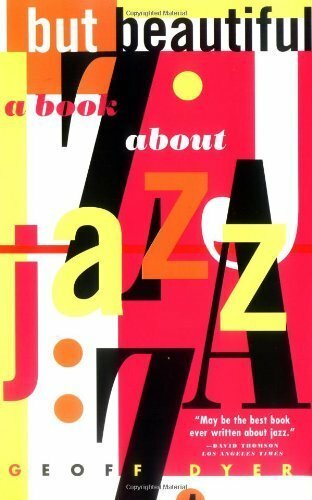 His book is one about mood and fantasy, its aim to draw the reader into the lives and the music of these unique jazz innovators in a way that no historical document can do. “It will profoundly change the way you hear jazz!” declares one reader. On this book’s pages we become privy to Lester Young’s last days, wasting away in a hotel room, another sad victim of alcohol. We witness Charles Mingus, overweight and raging, flying down the streets of New York on a bicycle that’s way too small. And there’s Thelonious Monk, creating his own private language on the piano. David Thomson, reviewing But Beautiful: A Book About Jazz in the Los Angeles Times, opined, it “might be the best book ever written about jazz.” And, of course, there’s also Kareem Abdul-Jabbar’s assessment. The book is worth a read. Geoff Dyer is the author of four novels and six other nonfiction books, including But Beautiful, which was awarded the Somerset Maugham Prize, and Out of Sheer Rage, which was a National Book Critics Circle Award finalist.